Paradox dropped the 1.9 update last week, but this hasn’t meant much for modding; the changes were limited to bug fixes, meaning most (if not all) mods will continue working just fine, even if the authors haven’t updated the version numbers in their mod files. So don’t fret too much about any version warnings! Any regular readers will know how much I value role-playing and story-telling in Stellaris. 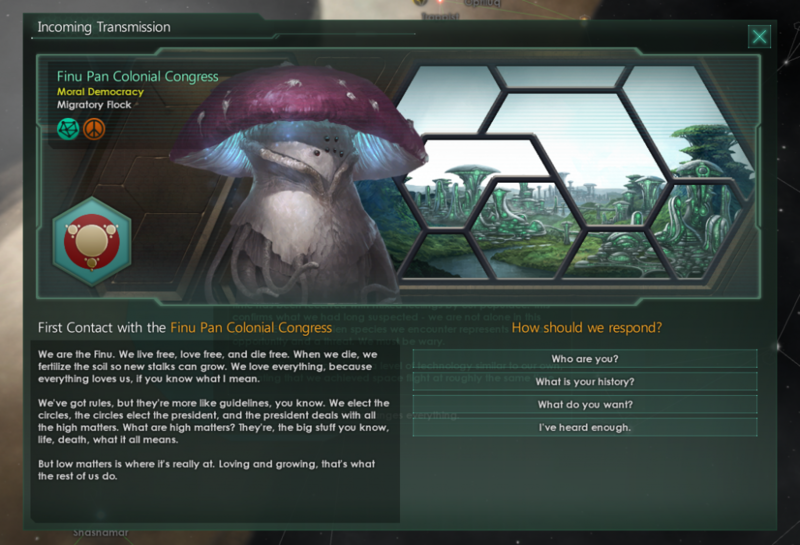 This month’s Mod of the Month expands Stellaris in this direction with a number of political event chains, bringing you closer to the issues that would likely affect a burgeoning galactic civilisation. Dynamic Political Events asks those questions that one could imagine facing a future society. How will we cope with increasing prevalence of AI and robotics? How would we deal with sharing our cities with members of an alien species? What would inter-species relationships be like, and how would that impact society? Would colonists really be willing to be ruled from a capital world many hundreds or thousands of light years away? 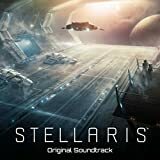 For anyone who is looking to get a taste of what it’s like to walk amongst their fellow space citizens, this mod goes a long way to getting you there. These events are more potent and, in my opinion, more enjoyable if you use the mod alongside another of the author’s mods, Potent Rebellions Expanded. As far as the author is aware, this mod won’t conflict with other event mods. Factional revolts and other factional effects won’t take place for non-vanilla factions, such as those introduced in Cultural Overhaul, AlphaMod, or Plentiful Traditions. Following the 1.6 update and Utopia, players were able to start the game with a fellow “Syncretic Species”. Initially, one couldn’t choose what this species looked like, but modders were quick on the scene. This functionality was soon introduced into the base game, but now players are unable to customise their syncretic species’ traits. What if we don’t want them to be Servile or Strong? What if the servile species is intellectual but subservient to a strong warrior caste? This mod lets you change that. Simple, effective, and necessary for any role-players or micromanagers! There are no modified vanilla files so this should be compatible, in principle, with anything. It’s long been a complaint of the community that technological progression unlocks weapons that are less cost effective than their predecessors. This was one of the reasons for the success of the Naked Corvette meta. This will be addressed by some of the technological changes planned for Cherryh 2.0, announced in the 97th dev diary. But while you’re waiting, this mod will help to tide you over! 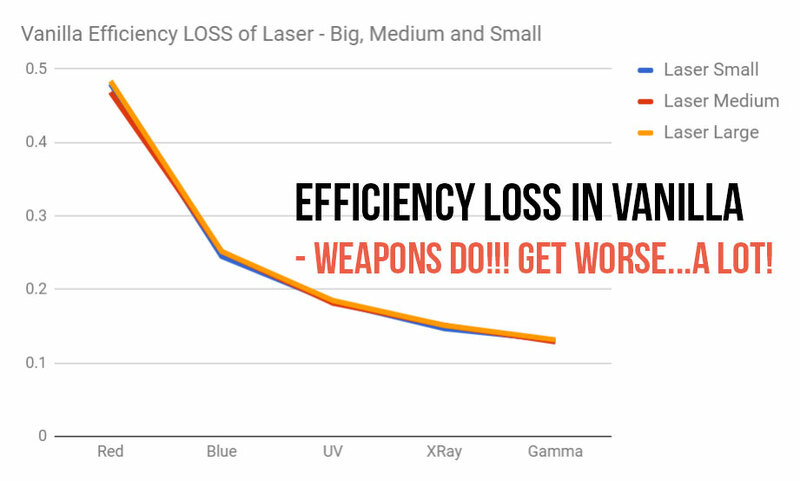 This changes the cost and effectiveness of weapons, equipment, reactors, and so on, to make teching-up your war machine necessary for victory. 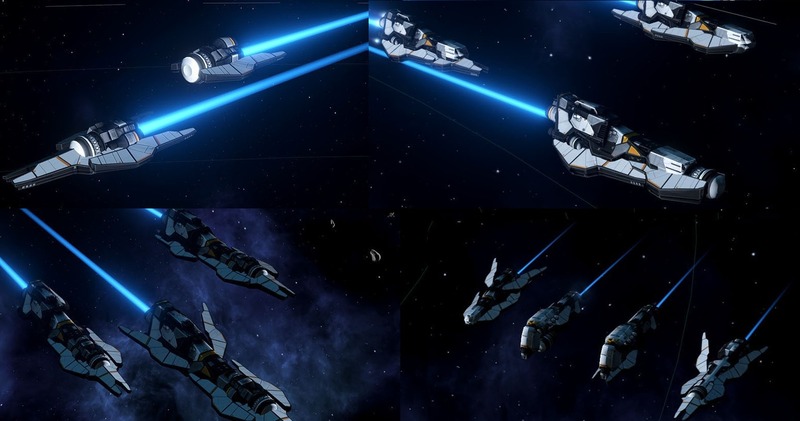 This mod, unsurprisingly, changes a lot of files related to components and ships. This makes it largely incompatible with other mods that affect ships in any non-graphical manner. You can try the Compatibility Version of this mod (instead of the main mod), which doesn’t change as many files, but also doesn’t improve the game to quite the same degree. 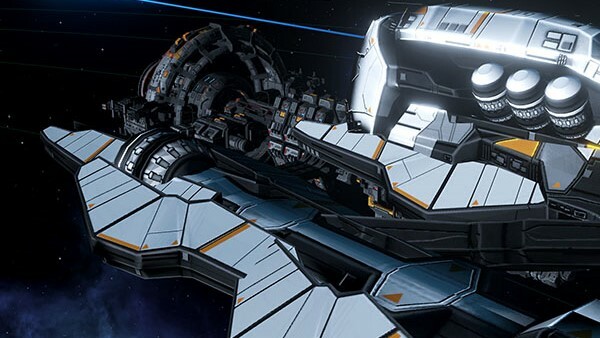 Citadel Tier 4 Defense Stations, featured in the May ’17 roundup. 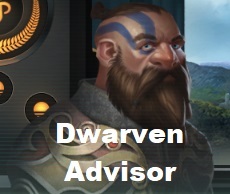 The 1.8 update introduced new voices for the in-game advisor and, thusly, opened up the advisor voice for modding. 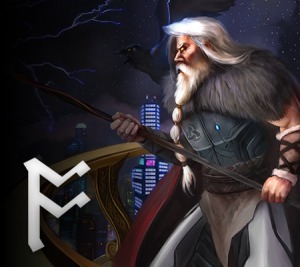 Along with 1.9, Paradox released the Humanoids Species Pack; amongst the 10 new species was a race with a “dwarven” appearance, which Dimosa has taken upon themselves to give a unique voice. The quality of the voice-over is excellent. You can have a listen here. Changes for this mod aren’t particularly obtrusive, so it should be safe to use with everything but mods that explicitly alter primitive events, which might also include mod overhauls. “Tall white” refers, apparently, to a particular hypothetical alien species, rather than to type of milky coffee. That aside, these are amongst the highest quality original ship models I’ve seen for Stellaris, and I’ve seen a few. In addition to vanilla models, it contains models ready for NSC, and there’s a patch that adds more colours. The creator deserves a lot of credit for their artistic finesse. This mod adds extra information to the mouse-over panel for research items. In addition to the research description, you’ll also see a technology tree describing what technologies require that technology to be researched. 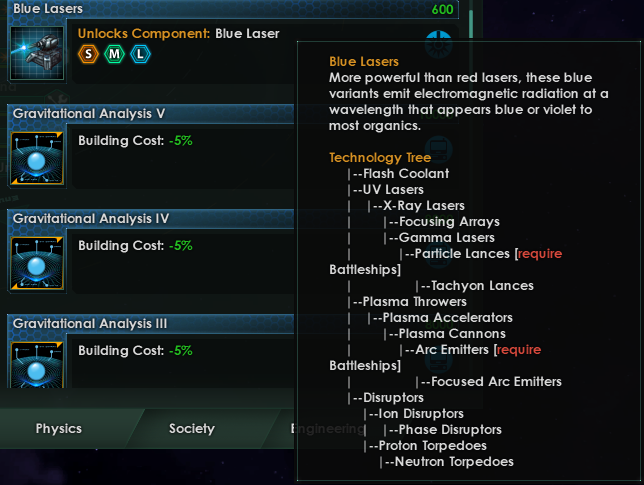 This is especially useful for anyone new to Stellaris who hasn’t yet learned what the technology tree looks like – but also useful as a reminder to everyone else! First featured in the May ’17 roundup, the Advanced Custom Empires Pack has received a number of updates for the new Stellaris DLCs and updates, including Hive Mind empires. It now features 25 hand-crafted custom empires,. each giving an extended first contact event and final contact events (when these empires are destroyed).